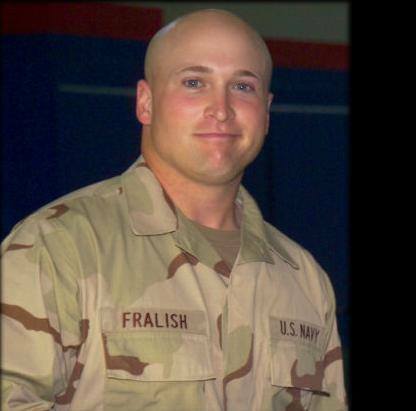 Petty Officer 3rd Class John T. Fralish played his rugby with the Old Gaelic Club and was the first corpsman to die in Afghanistan. He was assigned to 1st Battalion, 3rd Marine Regiment, stationed at Marine Corps Base, Hawaii. Fralish, a 1994 Cumberland Valley High School graduate, was working for a Harrisburg food service equipment company when the Sept. 11 attacks came, and — perhaps inspired by the tradition of military service in his family — he felt the tug to do something. It was in the Navy, family members have said, that Fralish seemed to find his calling. After joining in 2002, he participated in the 2003 invasion of Iraq and served a second tour of duty there in 2004. He had also served in a military hospital in Kuwait. In addition to the ground battle, coalition air support was also called in, but enemy casualties were unable to be confirmed, noted Fletcher. Fralish, was an avid surfer and 1994 graduate of Cumberland Valley High School in central Pennsylvania and played rugby with the Old Gaelic Rugby Club. Fralish was not married and did not have any children, his brother said. He was the third-oldest of six brothers and sisters. On April 19, 2011 in the presence of his father, James, and several other family members, the new men’s barracks at the Navy Medicine Training Center at Fort Sam Houston near San Antonio, Texas, was formally opened as Fralish Hall. While on patrol in the same valley a week prior to Fralish’s death, he got word from an elderly Afghan man that a little girl was in bad shape a few miles away. Fralish then wrote a letter explaining the urgency of the situation so she could be granted access to a coalition base with proper medical facilities. He also gave the man his crows feet so they could prove the legitimacy of the letter. Around the time of the girl’s surgery, Fralish was killed in action.